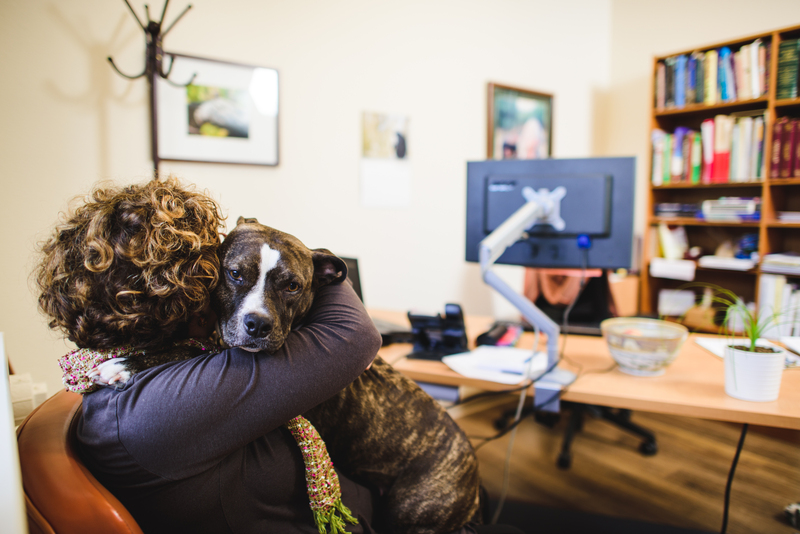 Have you ever met a lawyer who only works for animals? 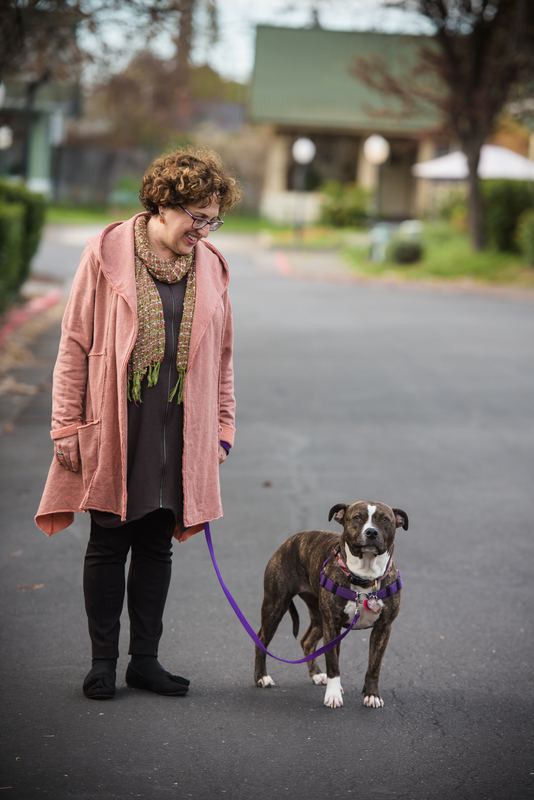 Meet Joyce Tischler, who is known as “The Mother of Animal Law.” In 1979, Joyce founded the Animal Legal Defense Fund (ALDF) to advocate for abused animals. The nonprofit organization’s cases focus on helping animals impacted by factory farming, getting endangered species out of substandard zoos and into sanctuaries, making sure that kennels, zoos, and breeders properly care for their animals, prosecuting animal abusers, and more. You can read about their judicial victories here, and their current cases here. "I’ve played many roles since we at ALDF first opened our doors: litigator, fundraiser, administrator, Executive Director, and today, General Counsel. I love what I do, and I can’t think of any work I would rather do than speak out for defenseless beings." 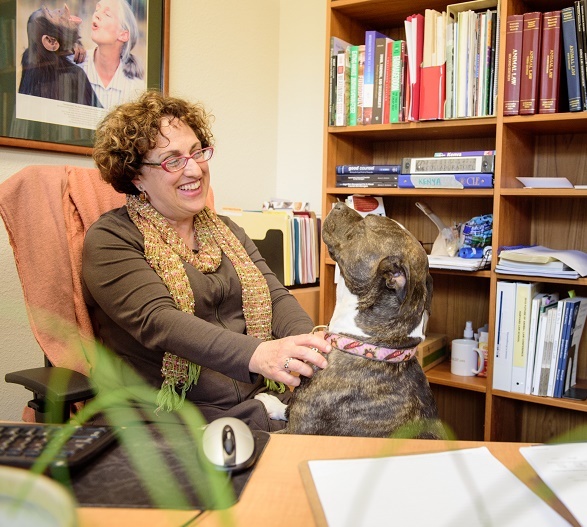 In addition to protecting animals, Joyce’s passions include teaching the next generation of animal lawyers, and empowering young women entering the legal field. Here are three days in Joyce Tischler’s life. 7:00 a.m.: I am not a morning person; I’ve never been a morning person and I will never be a morning person. Plus, I have three reasons not to leave my bed: Deja, the cuddliest dog in the world, who sleeps next to me under the covers, Marley, my 17-pound orange tabby, who likes to sleep on top of me, and Frankie, my gorgeous, velvety black cat, who sleeps on the pillow. But, the day calls, so I leave my comfy bed. The first order of business is feeding Frankie, Marley, and Deja. Once the troops are fed, I can get myself ready for work. Shower, dress, and eat. What do vegans eat for breakfast? Today, it’s cereal and almond milk. Deja (who is an adopted pitbull) and I head to the office. Deja rides shotgun, but she’s a nervous passenger. Once we get to the office, Deja jumps out of the car and runs to the front door of our office building. Everybody loves Deja! I make my first cuppa: Earl Grey. Now, the day can really begin. 8:30 a.m.: I fire up my computer and read all of the new emails. Hopefully, there aren’t too many fires to put out. There are contracts to review, meeting requests to respond to, and questions from staff. We have three offices and people working from several other parts of the country, so email is my main form of communication, followed by Skype, which is a must for calls and meetings. 9:00 a.m.: I just heard from the publisher of the animal law casebook I’m co-authoring. He has a bunch of questios. Ugh; whose dumb idea was it to write a casebook? This is taking forever — but, honestly, I can’t wait to see it in print. 10:00 a.m.: I’m going into a two-hour Skype meeting with the conference planning committee. 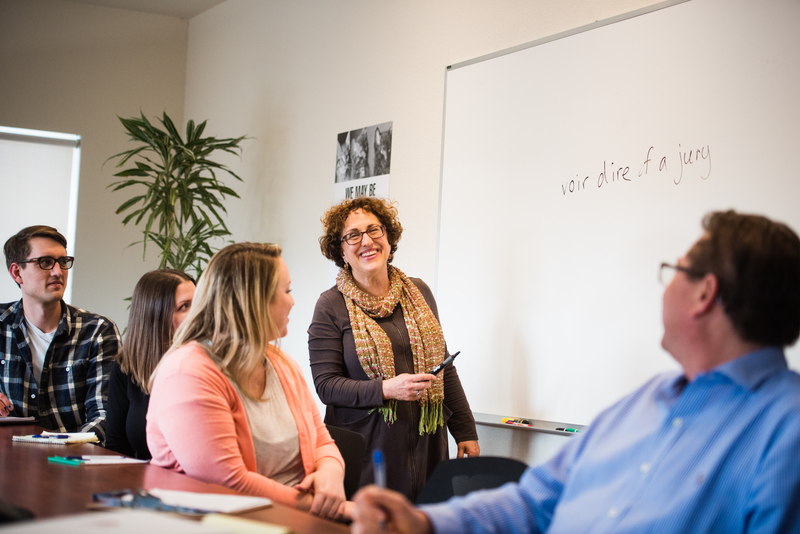 We hold an annual conference with our friends at the Center for Animal Law Studies at Lewis & Clark Law School in Portland, OR and we spend about 10 months of the year planning each conference. Today we’ll select our expert speakers. We’re celebrating the 25th Anniversary of Animal Law at Lewis & Clark Law School. 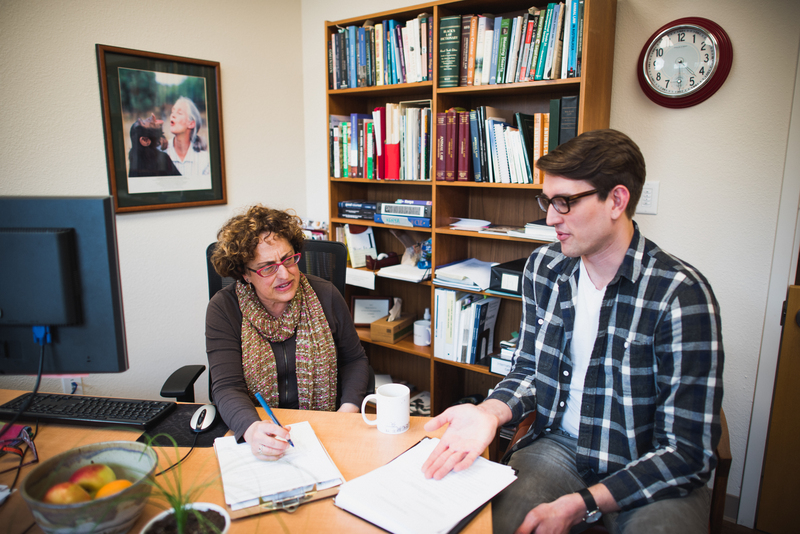 It’s THE place to go to study animal law and they attract students from all over the world. We always have a panel on what’s new in litigation. We also focus on factory farming, which is a huge issue in the animal protection world. We’re looking into aquatic animal law, a rising topic in our field. And, we will have a panel discussing gender and race. This is near and dear to my heart, because as women who work incredibly hard for the rights of others, sometimes, our own rights get overlooked. We need to help each other fight against glass ceilings, sexual harassment, and less obvious forms of sexism in the workplace. And, then there is the question of racism in the workplace. Even in the nonprofit world, these are important issues, and we need to assure that our employees are protected. 12:00 p.m.: Time to take Deja out for a walk, and then have lunch (which I usually eat at my desk). 3:20 p.m.: After working on contracts for my staff, I talk to Priscilla Rader of our Animal Law Program. The program is planning a one-day law student convention, and they want me to be the keynote speaker. Of course, I want to do that! I love talking to law students. They are so bright and passionate about animals. They are the future of animal law. I’ve been doing this work for a long time, and it’s important to teach them all that I can about what I’ve learned, what mistakes I’ve made, and how we can work together toward a brighter future in which animals are respected and protected. 4:05 p.m.: A national group has asked me to prepare a glossary of legal terms that are relevant to the federal Animal Welfare Act. That law is intended to protect animals used in research laboratories, but there are a lot of problems with the law and how it’s under enforced. I explain that one of the biggest problems is in the definition of the word “animal.” You would think that would be a no-brainer, but the Act says that mice and rats used in research are not covered. Mice and rats make up 95% of all animals used, but they are not protected under this federal law. That is so bogus! 4:45 p.m.: I Skype the director of the Animal Legal Defense Fund’s Litigation Program to discuss our lawsuit against a company that keeps tigers in confinement. We’re suing them under the Endangered Species Act to get the tigers into a sanctuary where they will be cared for with dignity. 6:00 p.m.: This is the day I leave work early so that I can attend my weekly group meditation. Yes, I know; that sounds soooooo California, but c’mon, meditation is for everybody — especially anyone who is busy and lives the typical stressful American life. First, I head to Ike’s for a takeout sandwich. Seriously, if you come to Northern California, you’ve got to go to Ike’s; it’s one of the wonders of the modern world. My usual order is the “Vegan Captain Kirk” sandwich. 6:30 p.m.: Group Meditation. Breathe in. Breathe out. Settle into silence. Take time to quiet your mind. Experts say that our minds process between 60,000 – 80,000 thoughts per day. That’s 2,500 – 3,000 thoughts per hour! Meditation is the practice of allowing my mind to rest. I feel so good afterwards. 8:30 p.m.: I’m home and spending a little time working on the chapter of a book I’m writing in my free time. It’s about animals, of course. Write what you know. 9:30 p.m.: Chill. I’ve learned that in order to do this work over the long haul, it’s important not to work all the time. Rest, talk to friends, read, watch TV. Take care of myself, so I can give my best to the animals. 7:00 a.m. Ugh, rise and shine. Okay, rise. Breakfast today is a smoothie: water, a banana, frozen mangoes, peaches, pineapple, vegan protein powder, chia seeds, a packet of Emergen-C, and a big handful of spinach. So delicious and I feel like Superwoman! 8:30 a.m.: Deja and I are back at the office. She’s snoring. I’m answering my emails. 9:00 a.m.: I’m writing the foreword for the Syracuse Law Review’s upcoming issue devoted to animal law. I’m explaining how animals suffer in intensive confinement in factory farms, and why lawyers are needed to challenge their conditions. I’m encouraging law students to go into this work. Working to protect animals means I’ve spent a lot of time learning about their suffering, and seeing where these things happen firsthand. I need to do that in order to be able to tell others about it. I sometimes feel angry, or sad, at what I see happening to animals. It’s my job to turn that anger into action. 11:30 a.m.: I’ve received an email from an attorney in New Zealand who is working to challenge rodeos in her country. She read about relevant laws in the U.S. on aldf.org, but she needs the specific legal citations so that she can prove to her opposition that these laws really exist. 12:55 p.m.: After an amazing lunch of a falefel wrap and dolmas, I have another legal contract to review and approve. Then I answer an email from an 8th grader in New Mexico. She loves animals and wants information about factory farming. Also, she wants to know how she can volunteer to help animals. I gather sources that are appropriate for someone her age, and send them over. I immediately hear back from her, telling me that she wants to go to law school and practice animal law. I answer, encouraging her to follow her dreams. 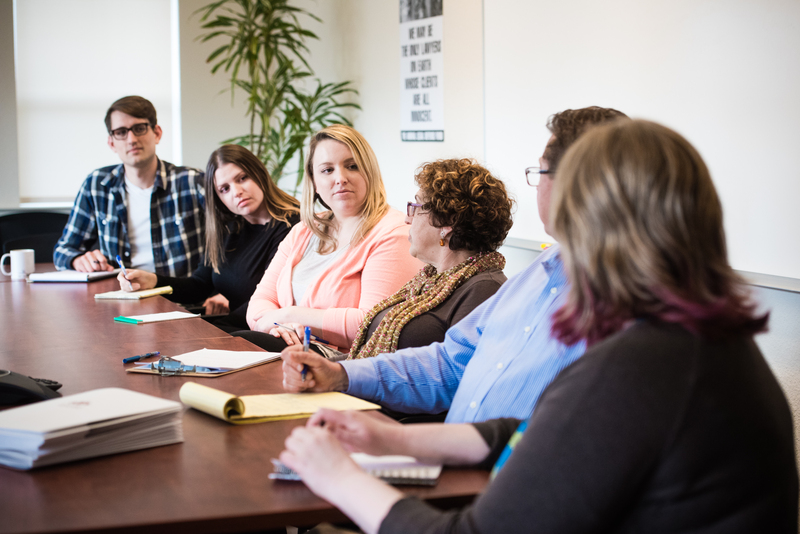 2:00 p.m.: Our team of attorneys gets together in the conference room. Once a month, we step away from the day-to-day tasks and try to do a “big think.” We talk about potential legal theories that we’d like to try out, or some law review article that is giving us new ideas. It’s wonderful to brainstorm and think outside the box. 7:00 p.m.: After many more meetings, I’m finally at home making vegan Shepherd’s pie. Once I put it in the oven, I can meditate for 20 minutes. After dinner, I start work on a service that I’m doing on the 13th Century Sufi poet and mystic, Rumi. He was amazing. 9:00 p.m.: Time to cuddle with Deja and the cats, and watch This is Us. My favorite characters are Randall and Jack. Aren’t they wonderful?! 7:30 a.m.: I’m rushing; it’s too late to have breakfast at home. I grab a packet of oatmeal to make at the office. 8:30 a.m.: Checking my emails. Who wants what today? 9:00 a.m.: Nonprofit agencies like mine survive on donations from individuals and foundations. Sometimes, people support us by leaving money to the organization in their wills. It’s a wonderful way to help animals and make that part of their legacy. Their kindness means so much to us. When the Animal Legal Defense Fund is named in a will, I have to make sure we do everything we need to as the will goes through formalities. That’s what I discuss with Dale from our Development Department once each week. Dale and I are also friends, so once we’re done with business, we check in about what’s happening in each of our personal lives. She asks about my daughter, Margeve, and I ask about her troublemaking (but adorable) dog, Chester. 12:00 p.m.: Time for a meeting about our upcoming strategic planning. We do strategic planning (SP) once every three years, and 2017 is an SP year. Strategic planning is the really “big think” stuff: we need to review our mission and goals as an organization. What are we doing to further our mission “to protect the lives and advance the interests of animals through the legal system”? What areas of animal abuse should we focus on for the next three years? What are our priorities, and what should we step away from? This takes months of meetings and discussion — but it has made a significant difference. We stay on focus more easily now, and we are winning more cases. That means we’re doing a better job of protecting animals. 1:00 p.m.: We have a meeting about our upcoming symposium on wildlife that will take place in Los Angeles. We’ve finalized our topics and speakers, and now we’re dealing with all of the logistical details. The devil is in the details when you are planning a conference — an unprepared speaker or boring hotel food can spell the difference between a good conference and a great one. We work hard to make our conferences great. 2:30 p.m.: I just received the latest email alert from African Network for Animal Welfare (ANAW), one of my favorite groups working for the animals in Africa. When I started working as an animal lawyer, animal rights and law was pretty much only happening in the U.S. and England. Today, animal groups of all kinds are popping up around the world. It’s so exciting! A few years ago, I got to visit Kenya, and our colleagues at ANAW took me to so many wonderful places. I visited Amboseli National Park, and my dream of seeing elephants roaming free in herds was finally realized. I can’t tell you how much that meant to me. I love everything about elephants, and I enjoy keeping in touch with my friends at ANAW. 4:00 p.m.: I meet with a staff attorney to discuss his lawsuit challenging how sows are kept in gestation crates at a state fair. When they are stuck in those crates, the poor sows can’t walk or even turn around. 7:00 p.m. Tonight, I’m having dinner with a group of friends — delicious food and great conversation! 9:00 p.m.: I need to spend some time working on that chapter of my book. Many people don’t enjoy the process of writing, but for me, it is soothing and fun. Hit the sack and get ready for another day committed to helping animals! Learn more about the Animal Legal Defense Fund here.